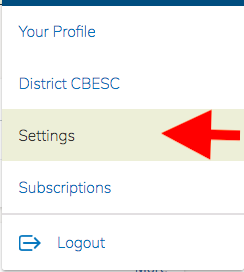 SVVS Schoology accounts for parents are created only after they have created a full Parent Portal account in Infinite Campus with a unique email address. The office staff at each individual school can assist parents and guardians in creating an Infinite Campus Parent Portal account that will require the GUID number and school code. Within 24 hours after the creation of the Infinite Campus account, a Schoology account will be created and an email from Schoology will be sent to the email address provided from Infinite Campus. It is important to note that not every school, or every teacher, uses Schoology so please check with your building about their method of communicating homework and assignments. Example of email below. 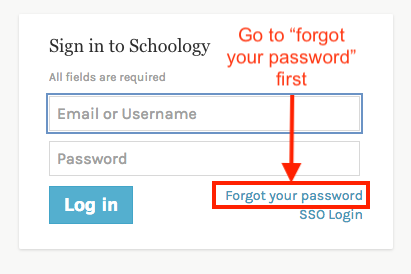 Parents log in to schoology.com (or app.schoology.com) and NOT svvsd.schoology.org like students and staff do. SVVS staff members and teachers who have children attending school in St. Vrain are tied to their child via that district-provided Schoology account and not a typical parent account. They log into schoology.svvsd.org. Parents can change the default period in ‘Settings’ after the initial log in. If both parents enter either a single email address or the same email address in Infinite Campus, Schoology will only create one Schoology account. If both parents would like a Schoology account they would need to enter a unique email address for both people in Infinite Campus. SVVS Schoology parent accounts rollover year-to-year so they will use the same credentials each year. All official grades and attendance are kept in Infinite Campus and not Schoology. All parent Schoology accounts are created automatically 1 day after the Infinite Campus Parent Portal Account is created. Even if you have never logged into Schoology before. 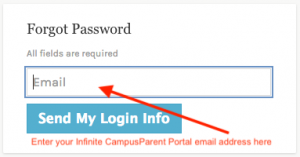 If you do not know your credentials, and you have a Parent Portal Account or have, or have not logged into Schoology before, reset your password by entering your Infinite Campus Parent Portal email address in the “forgot your password” field. Check your email and find the email from Schoology. * Only parents who have an Infinite Campus parent portal account and a unique email address will have a Schoology account. The log in information is sent from Schoology after the parent portal account is created. Parents can contact their school registrar if they need help with this step. * If parents have a district email account for any reason (a substitute teacher for example) they will log in as a staff member. Contact the registrar at the school their child attends. 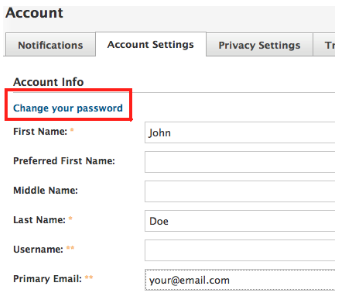 To change your password select Account Settings from the drop down menu in the upper-right corner. Find the Change your password link and pick a password you can remember. If you forget your password please go www.schoology.com and select ‘Forgot your password’. 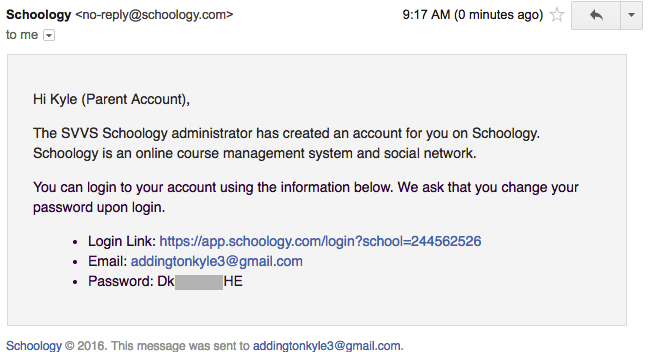 Schoology sends email notifications for Social, Academic, Group, and School activities that occur in your account. These notifications pertain to the school, courses, and groups in which you participate. 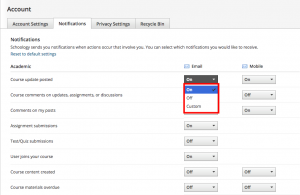 You can enable notifications to be sent to you as an email or text message depending on preference. 1. Select the arrow next to your name on the top right side of the page. 3. Click the Notifications tab. 4. Select the button next to the notification you’d like to change. 5. 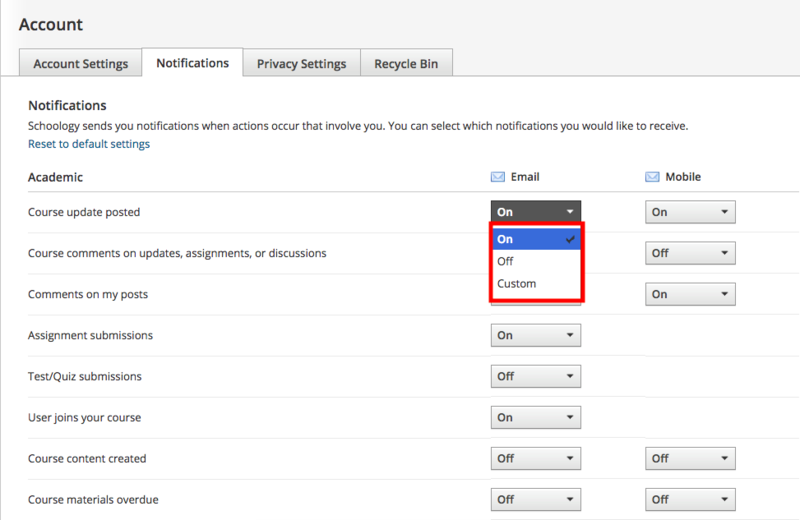 Choose On (receive from all sources), Off (no notifications), or Custom (pick and choose the sources). 6. Click Save Changes at the bottom. Schoology automatically sends 1 summary email notification per week regarding your students activity for that week. This email is delivered every Monday at 5pm.